Life Music Laughter: Make Your Resolution Mean More With 100 Good Deeds. It's proven that the act of giving increases our own feeling of happiness. Just think about how good you feel when you find and give that perfect gift! You can hold on to that feeling of giving by resolving to do a good deed everyday. 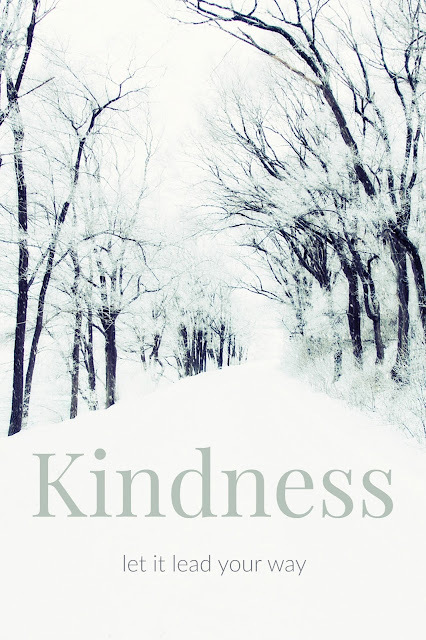 One simple act of kindness can make a huge impact in the life of someone else. It can be as simple as telling someone they're beautiful, to holding the door for someone, to picking up trash at the park. Just do something good and it will feel good for you and for others. We all start new focuses and resolutions with the best intentions, but as we get going in our busy lives many of these focuses fade away. Often, we feel defeated and resign ourselves to do better next year. The reason this happens is our goals are often too lofty, and not specific enough to stick with, and we don't have anything to remind us to stay accountable. The 100 Good Deeds Bracelet solves this problem. The 100 Good Deeds Bracelet serves as a reminder to do simple acts of kindness. Each bracelet is hand-braided and strung with 100 glass beads and 1 rubber ring. 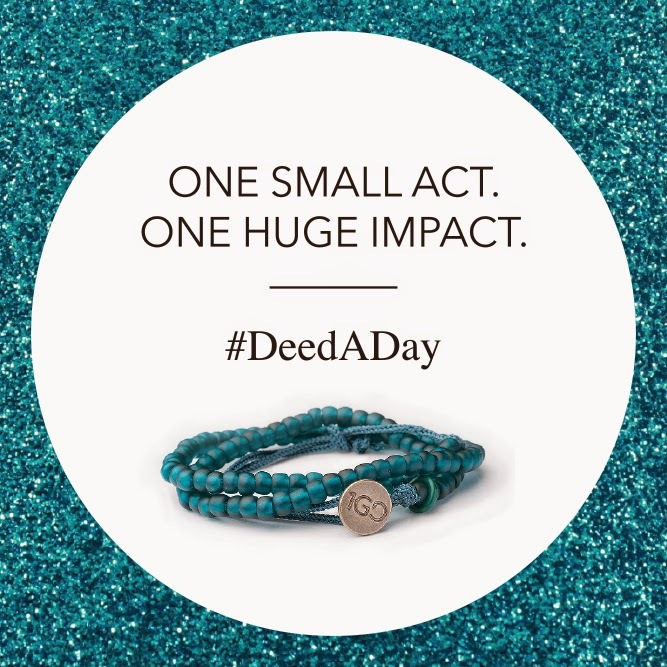 As you do a good deed, you move the rubber ring over one bead with your goal to complete 100 good deeds and move the black ring to the other side of the bracelet. By setting a specific goal to reach 100 good deeds and by having the reminder bracelet, you are more likely to reach your goal, and create a habit of giving back. Signed by the woman that made it. The bracelets are available in 19 colors, and 2 sizes at 100gooddeeds.org. One of the best things about this bracelet is that just by buying it you are already doing a good deed by helping to empower a woman! Each one is handcrafted by vulnerable women worldwide, many of which are HIV positive. By making these bracelets they are able to provide for their families, and have a renewed sense of meaning in their lives. My bracelet was made by Makensia in Haiti. The mission behind the 100 Good Deeds movement is such a positive one that I couldn't wait to be involved. Receiving the bracelet was just an added bonus; a gift that I will treasure because I know that it was made with such pride. In turn, I will wear it with pride and do my best to honor the spirit of this movement by making this a year of good deeds. Let's make our resolutions mean more this year, by focusing not only on improving ourselves, but by improving the lives of others! *Update: This was originally posted in 2015, and my bracelet went several places and saw many good deeds. The final good deed was leaving it in a hotel room in Colorado Springs where it was hopefully found and enjoyed by someone else. Though, my bracelet is gone, the spirit of it is not; with this new year, it is just as important for us to spread kindness and good deeds. May you have a wonderfully happy year! Disclosure: I received the bracelet for free. All opinions expressed are my own. No other compensation was received for this post. I blog with integrity and only recommend products and organizations that I approve of. Read my complete disclosure policy here. what a great way help. They are really nice bracelets and helping others is good. I like the idea of doing a good deed each day. Big things can grow from small steps and small beginnings. I like this idea of doing a good deed each day. It's manageable and not so overwhelming...some deeds can always be bigger than others, but to feel good each day about doing some small thing to Pay It Forward would make for an incredible year! It's an interesting idea to keep you accountable with the bracelet. I always try to do a good deed a day, but this is a nice visual reminder. I lust love this. Awesome bracelet reminder. A good deed helps so many. What a great way to celebrate the New Year! I love this idea. What a lovely idea for a bracelet! Nice reminder to do a good deed a day!